HOW TO MAKE ITCombine all ingredients for the syrup in a small saucepan and bring to a boil over medium heat, stirring occasionally. Simmer until sugar is dissolved and lower heat. Cook another 10-15 minutes to allow borage to steep. Let cool and strain.Add gin, simple syrup, cucumber and lemon to the base of a cocktail shaker and muddle. Add ice and shake well. 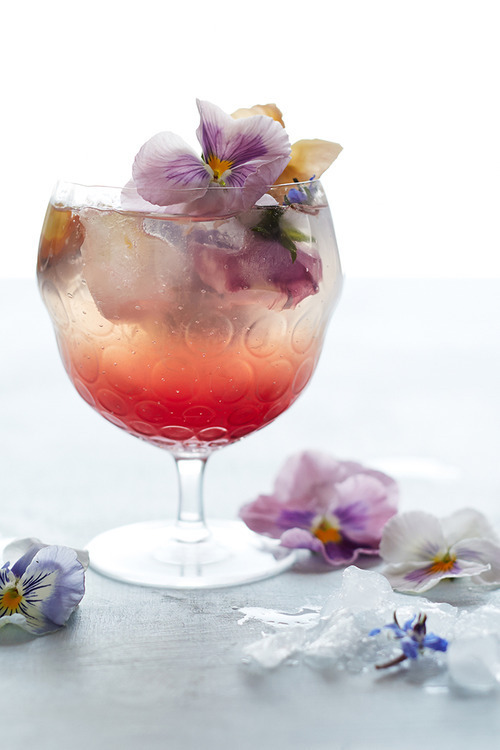 Strain into a glass filled with ice and top with a splash of soda water. Finish with crƒ¨me de violette, allowing it to settle at the bottom of the glass. 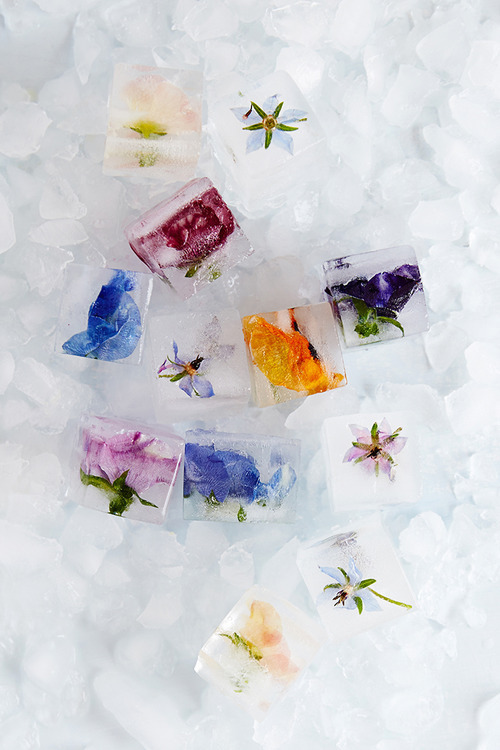 Garnish with borage and pansy flowers to serve. 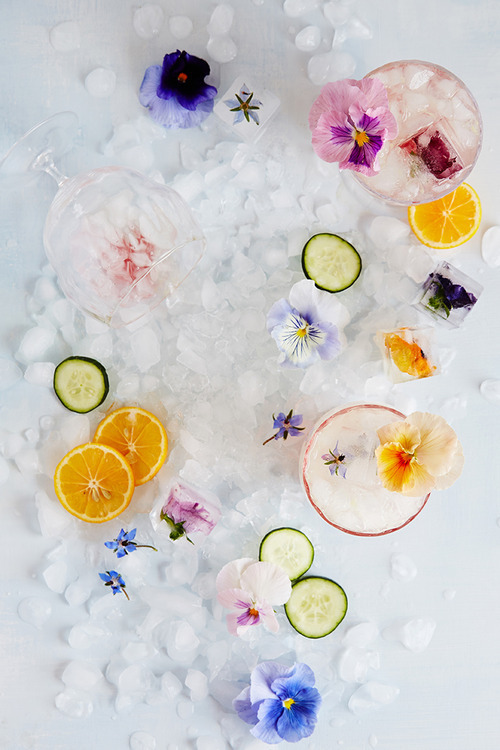 Craving more petal-infused potions? Everything’s coming up roses, right this way.